If you need to cut your spending, there are things that you can do to help your money go that bit further. There are areas in your budget that you can reduce or eliminate to help you get the most out of the money which you have and to help stretch those pennies to the areas that are unavoidable, but can take a lot to keep going. Sometimes it is good to cut back on the luxuries that we have in our lives, they can become part of everyday life instead of a treat and, by cutting spending we can take back the control and reassess what we truly need versus what we want. It is not difficult to cut some of the basic areas when we are looking to cut back, groceries are normally the first to get cut. However, what if there was an alternative option, it might take some jiggling but in the long-run it might save you more than just cutting back on the groceries every once in a while. Budget, this is the most important and easiest way to cut back on your spending; you might not realise how much you spend in different categories and creating a budget you can see where your money goes. It is sometimes easier to cut your spending if you know in the first place where you are spending the money. 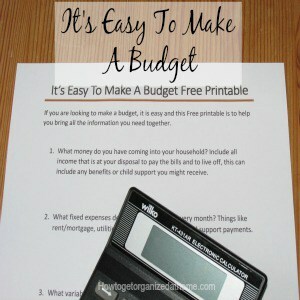 If you are looking for more information on budgeting check out this article! It is easy to see that many people choose to eat their lunch out, grabbing a sandwich either on the way to work or on nipping out to get food during their lunch break. This is the most expensive way to get lunch and often the unhealthiest way, too. Try making your own lunch and taking your own coffee in, too. This is a simple way to make savings; you then know what you are eating and are in control of what you spend on food too. Cancel magazine subscriptions, how often do you read the magazine anyway? Sometimes these are gifts and this is great! If you want to buy them set a budget to the amount you spend as sometimes it is easy to overspend in a category. Ditch the TV package; this can save you a fortune each month. It will surprise how much this is costing you and by turning it off, you might not even notice the difference! We recently ditched our TV package and honestly, I worried about it, but I haven’t really noticed the difference at all! How hot do you have your hot water? It is surprising how much you can save by lowering the temperature of your hot water. You don’t need to have the water so hot that it scolds you, turning this down a degree or two will save you money. How many devices do you have currently plugged in and the little power light is showing? Turn off at the plugs; this saves you power, money, and the potential to save your home if there is a power surge it could damage the appliance plugged in and can start a fire. Ditch the landline, this is something I am considering, the only thing I use the landline for is the internet. I never use it to phone people as it is expensive, I have my mobile for that! I wish there was some way to just have the internet and not have the line, it would save me, even more, money each month! Utility prices are high and getting the best deal possible is important. There are different options but before you swap be aware that if you owe the utility money you will have to pay this off before moving and closing your account. I have moved back to the old-fashioned way to pay for my utilities, I pay when the bill comes in. Buy what you need rather than what you want. When you go grocery shopping it is important to write a list, you know then what you need and not buying things randomly. This works in everyday life too; you might want that coffee but do you need it? These questions are great for getting those kinks out of your spending habits, you become more focused on the finer points in life rather than just answering to your current wants in life. The reasons to cut your spending is personal, however, it is more than just trying to make your budget and your income meet. If you are looking for more information on budgeting I just love Dave Ramsey and his approach to budgeting. There are challenges in life and I think we are seeing the turning point where credit and living beyond your means is, at last, dying. There are people looking to live debt free, to pay off any debt they currently owe and living a more simple life. It is freeing not to answer to a credit company, knowing that any spare money you have goes towards the next project that you want rather than paying off debt. Living the more simple life, without peer pressure to spend money and having friends that understand money. There is nothing worse than being made to feel inadequate because you say no to an expense because it isn’t in your budget. I know, I have been there more than once! Therefore, I do understand the pressure of feeling the need to cut back the budget, to change the way that you view money. However, there is nothing wrong with cutting back your spending, finding new ways to enjoy life without feeling the need that it comes with a fixed price tag. Cutting your spending doesn’t mean going without, it means that you are making the best choices for your money and your situation now! If you are looking for more articles on this topic head over to the landing page where you will find links to other posts on budgeting and saving money. What is your favourite tip to cut your spending? There are some things here I would never have thought of! I would never have thought to turn my hot water heater down a degree or two to save money. Which by the way is also a safety tip for when you have kids to turn it down lower, so it’s a double win. We ditched our landline years ago and I work hard to pack my husband’s lunch, but I’m glad to have some new things to try.